LOCATION!!! 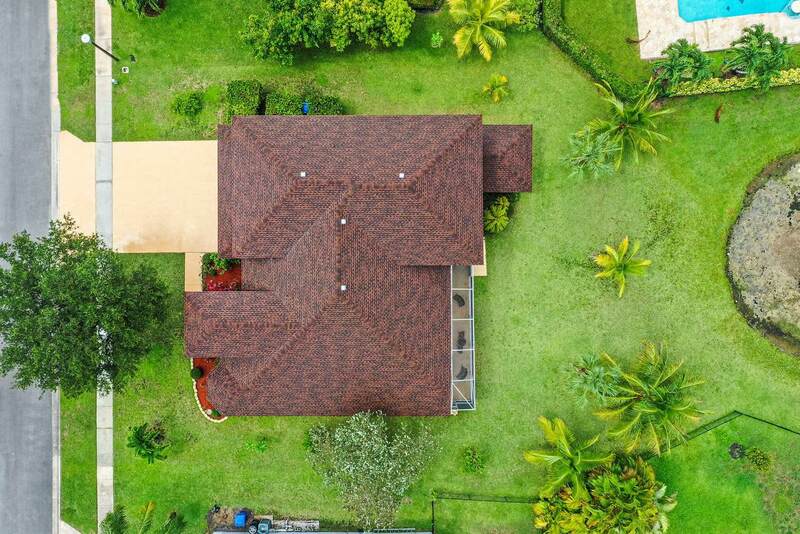 Hidden among many fine gems, on a Waterfront, Fruit-treed Lot of nearly 1/3 of an acre is this beautiful 5Br/3Bth/3 Car Garage of 4755 Sq Ft that was Custom built to specification, with Soaring Ceilings & expansive rooms throughout. 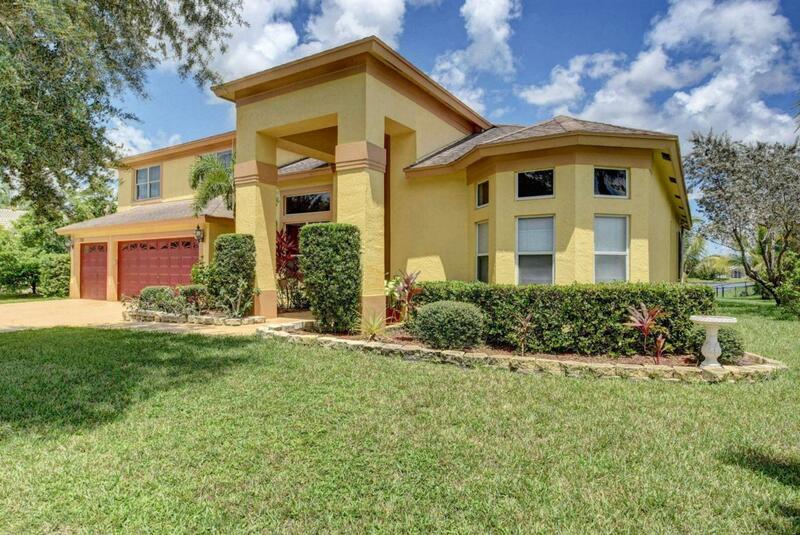 Enjoy the Florida Lifestyle relaxing on the large screened patio overlooking the Lake. The Master Br Suite & 5th Bedroom/Mother-in-law suite with a bonus room used as an office are all located on the Ground floor. The master bathroom comes with an extended vanity, glass enclosed stall shower and a Jacuzzi. The 2nd Floor houses 3 Guest BRs, a Full Bath and Loft overlooking the expansive 1st FloorThe flooring in the master bedroom, stairs to the second level, the loft and all the guest bedroom, floors are covered with wood. Upgrades includes Venetian walls in the Formal LR, DR and Family Room. Amenities offered in this non-gated quiet community are a Community Pool, Clubhouse, Play Area, Tennis and Basketball Courts. 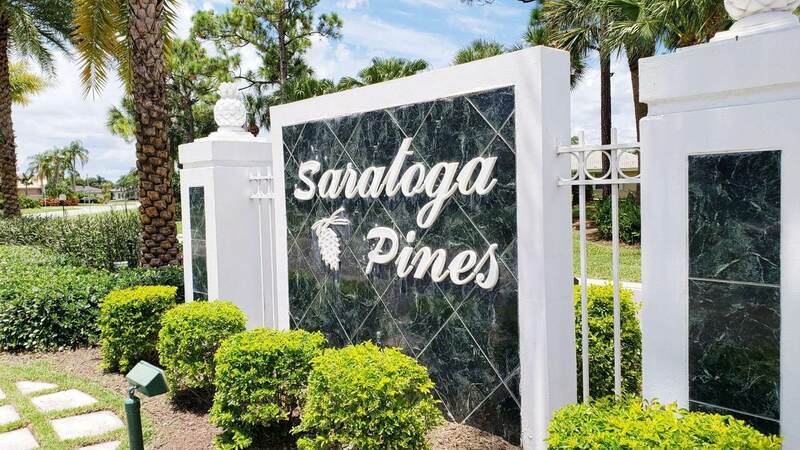 For the Golf enthusiasts play some rounds of Golf at The Links at Madison Green, & Equestrians at heart, enjoy Equestrian Life at the nearby World famous Wellington Equestrian and Polo clubs in our neighboring town; for general recreational activities enjoy the all purpose Royal Palm Beach Commons Park. Shopping is made easy with many local facilities, stores, Wellington Green Mall; fly in and out of town from the nearby Palm Beach Intn'l Airport and for Fine Dining and City Lights visit the Famous Downtown City Place. Schools are "A" rated...... Please visit, and make an offer. Owners Welcome All Offers! !